Winter blues got you down? 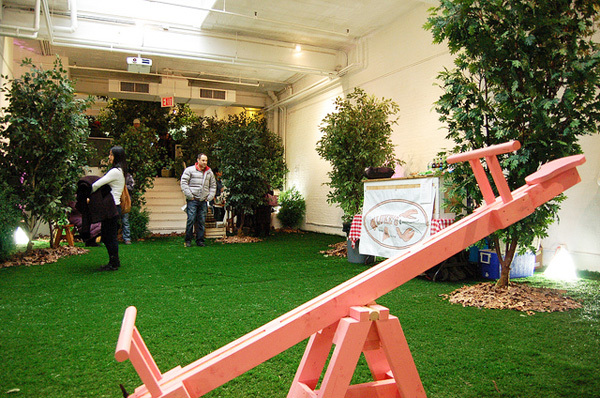 New York's Openhouse Gallery recently brought a taste of spring to locals by creating its first "indoor pop up park." 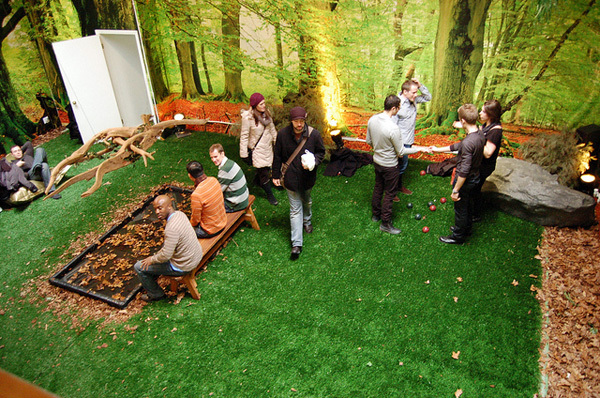 With artificial lawns, real trees, park benches, forest murals, SAD light boxes, and even a see-saw, the indoor park offered a temporary reprieve from snow-covered streets and bare tree branches. 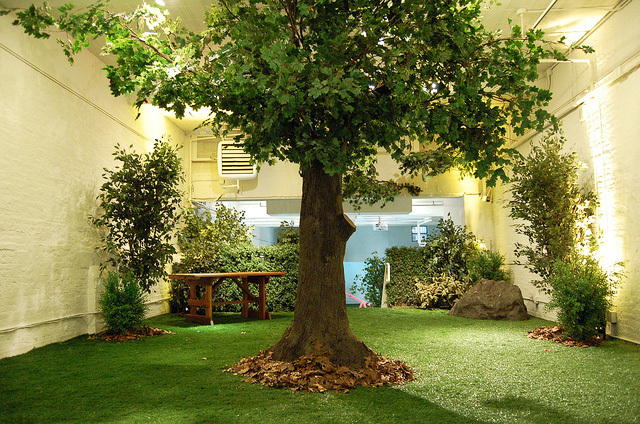 Of course, we advocate for outdoor play rain or shine (or snow), but in the middle of a bleak winter this green, sun-dappled oasis seems hard to resist. It's time to go inside and play! Learn more on Openhouse Gallery's Facebook page.